First, we would like to announce the relocation of our main gallery, which has for the last forty years been based in Nishi Azabu. 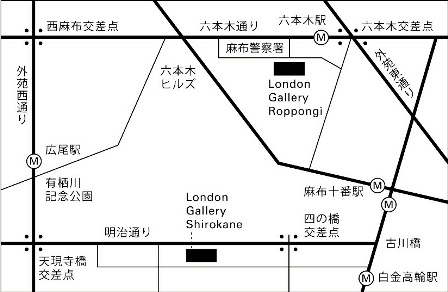 As of September 2011, the Nishi Azabu gallery will be closing and moving to a new location in Roppongi, only a one minute walk from the station. The new building is called the Piramide Building, which also houses contemporary art galleries Ota Fine Arts, Taka Ishii Gallery, Wako Works of Art, and the Zen Photo Gallery. The showroom location in Shirokane will not change, so please continue to visit us there. In fact, the next exhibit rotation at the Shirokane Art Complex will begin soon, featuring a pair of six-fold screens entitled Flowers and Birds of the Four Seasons by Hasegawa Tōhaku (Momoyama period), and a pair of scrolls called Flowers and Birds by Sesson (Muromachi period). Midsummer greetings to you all. We would like to announce that the gallery will be closed for a brief time in August for the summer holidays. Our current exhibition at the Shirokane gallery will continue until Saturday, August 6th, and we will be closed for approximately two weeks thereafter, from Sunday the 7th until Monday the 22nd. The Nishi Azabu gallery will be closed from Sunday, August 7th until Sunday the 21st. We wish you all a wonderful summer holiday, and look forward to seeing you again soon.